Even wordsmiths have difficulty describing the immensity of the universe. After all, our sun is 1,000,000 times bigger than the earth and our galaxy contains approximately 300 billion stars, but there are also 100 million galaxies in our observable universe. Moreover, our observable universe, which is 13 billion light years away (1 light year = 6 trillion miles), may not be all there is. It’s quite possible that the universe is infinite in size, and quoting Carl Sagan in his famous Pale Blue Dot speech, the earth is just a “mote of dust suspended on a sunbeam”. We can all understand Sagan’s plea for everyone on earth to be kind to each other, because looked at from one perspective, we all share the same home, mother earth. But looked at from another perspective, it’s no more than syrupy sentimentalism. If we are, in Kahil Gibran’s words, “but a grain of sand upon the infinite shore of an infinite sea”, then beyond our world there is no reason to believe that our mind is anything but the most insignificant accident in an indifferent cosmos. Why should existence outside of humanity’s parochial neighborhood give a hoot about essentially human qualities such as honor, love, charity, truth, faith, autonomy and respect? We have a tendency to put the human mind at the center of our world, which social scientists tell us we construct by our own language and categories of thought. Religionists and scientists alike see humanity as being special, even unique in the universe, either because God singled out humanity for special treatment or because we are a tool making and technology creating species, maybe even capable of changing the speed and direction of our own evolution. But what if there was intelligence in the universe so far above human intelligence as we are above ants? What would we make of such creatures, as unconcerned at extinguishing our lives, as we are uncaring about the killing of ants? This intelligence doesn’t need to be malevolent, just supremely indifferent to our interests. Ah, the importance of perspective, Malcolm. I need that. Smiles. Thank you Bonnie. It’s all about perspective, isn’t it? I’d rather cling to optimistic Sagan than cynical Lovecraft. I feel humble with both men’s philosophy. Great essay, Malcolm. A better question might be what would I do if the truth is Lovecraft’s scenario? What’s the point of life or anything? Perhaps I NEED to believe there is more than nothingness, a higher order who has a purpose for me. I choose to be optimistic because what good does the cynicism do you? Thank you for your honesty. That’s about what it comes down to. We tell ourselves stories – philosophy, literature, religion etc., because we need them to survive. What Lovecraft knew was that the thing we fear most is ourselves, filtered through a funhouse mirror, all those parts of ourselves we admit to no one. And yet, his monsters are decidedly human – greed, sloth, all of the deadly sins. Yes, and all said and done they are actually not that frightening. He has a habit of going over the top when he ladles out frightening adjectives. Your writing is so impeccable and thought-provoking. I seriously need to get caught up on your site. Have a great week! Time to schedule another luncheon! Tom, yes. I will send you a private em. Hello Malcolm! I’ve decided to read and follow 15 interesting and new blogs a day every day for the first month of 2015, and yours is today’s #3! Feel free to come visit me when you can at http://www.thatssojacob.wordpress.com, and follow if you like what you read. Happy new year and happy blogging! Thank you Jacob. I look forward to browsing your site. Ironic that these gods are of man’s imaginative design. or flee from delusional light into the harbor of a new glorious age. And a marvel indeed if God – esp if He turns out to be the only God – should actually deign to love us, even delight in us. HW, I used to love my hamster and take great delight in him, but personally I would find it terrifying to be the pet of a far superior intelligence, even it was a kindly one that was looking out for me. It’s no wonder there is no Scripture that likens us to hamsters, pet of the Almighty. =) I doubt I would embrace it myself. As it were, my Scriptures uses the metaphor of Father and Groom. Must add that I smiled to imagine MG with a hamster. I’m afraid your metaphor is beyond inadequate. We have been discussing the relationship between humans and a vastly superior intelligence, on the order of the difference between an ant and ourselves. No meaningful relationship with such an entity could possibly exist which would not leave me a quivering mass of jelly. I am not just talking about size here, but the gap in emotional and cognitive understanding, even if these human categories were applicable to the superior intelligence, which they are not likely to be, in the same way we could not expect an ant to relate to us cognitively or emotionally. First off, I didn’t write the Scriptures. =) It is the metaphor that age-old sacred texts of the Old and New testaments employ you take issue with, not any claims I make. Do you realize if we all lived according to your syllogisms we’d have to deny the English lexicon some of its best words: incredible, (the literal) awesome, magnificent, transformative, mystery, faith? What you have trouble wrapping your head around is what too many of us who profess Faith take for granted: rather than inadequate, what if the metaphor in fact conveyed a glimpse of reality? We are said to be image bearers of the Divine (unlike hamsters who don’t reflect our image). If we should be so loved as we are lowly, the apprehension of this truth would indeed transform lives. And I hadn’t lost sight of the seed of this dialogue. Didn’t mean to get into a worldview so different from yours but I thought the eddy would be allowed. =) In any case, if Lovecraft can have his gods, I can Mine. And I feel twisted but I just had to laugh at the poisoning. No, but you did specifically say they were your scriptures so unless you are being picky as to what you believe and don’t believe in the sacred texts my criticism stands. I apologize in advance for my effect on the number of pages in the English dictionary. Neither do blind deformed albino dwarfs, so I am certain that if God exists his love is not dependent on how closely any creature resembles him. Of course you can HW. We all need our gods, or as I like to say, our stories. Even the atheist is forced to look to science for redemption. We cannot survive without our stories. 1. Keeping things in Perspective is the most important thing. 2. Number 1 is hard to do. Example: If I could remember every time that I sit down to eat that I want to keep my weight in a reasonable range, then I would not eat either too much, or the wrong thing. But I loose perspective and eat the large order of cheese fries with bacon and ranch dressing. Apply as needed to your place in the universe. Well put Tahira. Also, a world in which we are one of the more insignificant players is not necessarily a horrible Lovecraft type of world. It could be one that evokes a sense of excitement and mystery. Great post, Malcolm! I’m possibly straying a bit from your post, or maybe not, but this is what sprang to life as I read it. 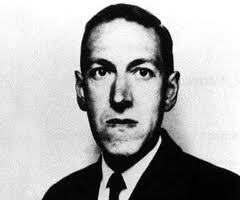 It made me want to know more of Lovecraft than simply a name I had heard of, but have never read, since horror does not sit well in my stomach. However I must say I find much resonance with his words in the note to the editor of “Weird Tales” (wikipedia) only: the boundless unknown is far from hideous to me, it’s extremely liberating. Makes us liberatingly (is that even a word?) insignificant. I suppose to the many, this thought makes life feel meaningless, what’s the point?! However to me it opens up everything and gives life a mysterious glow of infinite simplicity. In my ‘book’ life might just be everything and absolutely nothing, no point, no meaning. To me, a release also from even stories that can become a burden and chain and veil the unknown even further where I wish to look deep into that void where the ‘I’ can not follow and appears to seize to exist. Emotions still move through, life keep happening, yet there is a peculiar indifference, not to be taken as coldness, paradoxically on the contrary, deep aliveness that clears (destroys?) the mind-set and makes room for the senses. It makes me wonder as I read further in the wikipedia where many of his characters who has the knowledge get destroyed, is this his way of describing “die before you die” a kind of death of the person, the character in Shakespears words where the world is a stage, death of what we think we know in order to open up to the real mystery of the unknown while standing naked knowing nothing? Regardless, these are the reflections your post called out in me. Hopefully not too confusing to read, words doesn’t always come easy for me on these themes. Thank you as always for bringing up such interesting topics, Malcolm! Hanne, thank you for your thoughtful comments. I agree with you that the boundless unknown can indeed be liberating and mysterious and it certainly does not have to be horrific. You are also perceptive in realizing that indifference does not have to imply coldness. Some of Lovecraft’s characters die because they have found out too much and this knowledge is either too horrific for them to assimilate or they discover that the world they have become accustomed to is all illusion and they no longer wish to live in a world where the illusion has been stripped away. Malcolm, thank you for elaborating on the characters in Lovecrafts stories. It’s all very fascinating. While I am more of the mind that we are quite insignificant in terms of the cosmos, and while there may be greater minds and intelligence out in the universe…we are in a strange infinite loop of creation & destruction, and that is a great and exciting mystery of life. Going off track, there are theories of particles communicating over large distances…and perhaps there is knowledge/memories that do get passed on with destruction. Yet, of course, there just may be… And this is what makes the cosmos so much fun, as just about anything is possible. Cheers! Dalo, like a few other commentators you have picked up on the fact that our situation vis-a-vis the cosmos can be perceived as exciting and mysterious as well as horrendous. It’s interesting that you mention the possibility that knowledge and memories could be uploaded in some way. This is not just fantasy as serious minds such as Ray Kurzweil and Marvin Minsky have advocated such mind uploading, and as you say this might integrate with theories of karma. Great points Dalo. Thank you. I’ve been avoiding WordPress because I’ve been in my own universe, well, my grandmother’s universe, watching it then thinking about it after she passed. She experienced both of Lovecraft’s descriptions–madness then peace. It left me mute. But, your words opened mine. Someone else aches and understands. Welcome back Lisa. I’m sorry to hear about your grandmother but am glad she is no longer suffering. Malcolm, we will disagree on many things and agree on some others. Lovecraft is vastly underrated as a writer and a thinker, even among many of his fans. He’s one of the very few writers to convincingly cast religion in purely materialistic terms (I would argue his mythos is straight up science fiction) while delivering an emotional punch. Not always pure horror; I think his fantasy works are just as compelling and really quite beautiful. Well, we definitely agree on this one :-). Casting religion in “materialistic terms” is exactly right, a very apt description of what Lovecraft does. Thanks for following. I think you are in good company here. Pascal, the 17th century philosopher said something similar arguing that we should all act as if God does exist, because if he does we will gain eternal life, an infinite benefit, and if he doesn’t we will only have lost a finite amount. A good post about a great writer. We are Lovecraft fans. Reading him reminds us that we humans are not as significant as we assume. We have played the card game and org – it is frightening to imagine yourself in his world. Thrilling. This intelligence doesn’t need to be malevolent, just supremely indifferent to our interests. To the first part of your post, I was recently terribly upset, if not entirely confused, when i discovered that NASA’s DSCOVR earth observation satellite (now sitting out there at L1) would not stream back live video of our planet, framed against the blackness of space, slowly rotating in real-time. I was lead to believe it would and was beyond excited when that bird flew… Only to learn that I’d gotten false information. I spoke to the mission leader, asking him, “Why? Why not? ?” This was a chance for our species to have a collective (albeit technologically-enabled) Overview Effect, that epiphany of scale and location (of presence) astronauts have spoken about. I told him I’d dreamed of school kids sitting in their classrooms, watching the earth (the whole earth) turn in space. To my utter surprise, he said they hadn’t really thought about that. John, thank you. I understand your disappointment but I just went to the Nasa DSCOVR websie and saw the video of the moon’s shadow crossing the earth. How would your envisaged “Overview Effect” differ from the video here? Oh yes, I saw that video, and it’s wonderful. Sadly, a video is however just a video. For an overview effect we’d have to witness this thing in real-time (or close to real-time) in a seamless stream. That is the earth, now, this moment, rotating slowly in space. Got it. That would be something. I remember with Voyager it was Sagan who lobbied hard for the thing to turn around and take a photo from out past Saturn. If it wasn’t for him, we’d never have the Pale Blue Dot photo.